Stay with us and enjoy! Sharing and philosophy: to us shareosophy means sharing responsibilities. We believe in sharing the beauty and purity of the nature we live in with our beloved guests. By doing so, we ensure that later generations will have the possibility to experience the astonishing architecture and environment of Hallstatt. Hallstatt Hideaway lies in the center of Hallstatt in the middle of the Salzkammergut and is a haven of peace surrounded by mountains. The natural setting allows you to kick back and relax, breathe in the fresh air and let go of everyday life ensuring you a peaceful stay at this historic house designed with modern elements. It is up to you if you want to spend your time here in privacy tucked inside ordering breakfast in bed, or if you are in the mood to discover and explore all that Hallstatt has to offer. Original kept historic architecture combined with sophisticated craftsmanship and contemporary design elements, makes a stay at Hallstatt Hideaway an extremely pleasant rest for body and soul. 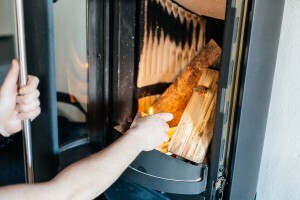 All furniture in the house has been designed by Albert Gassner and Herbert Lanzinger using the old wood which was saved during renovation of the house. Salt has been mined in Hallstatt for over 7.000 years. 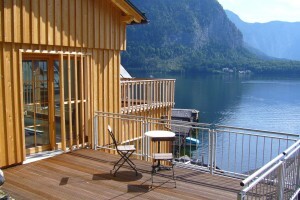 And for the past 700 years the Salzkammergut has been a place that invites you to lean back and relax. The dialogue between culture and nature provides the ideal setting to get in touch with the very roots of our culture and open up our soul. If you enjoy your stay with us and are happy, we are happy, too. If you are overwhelmed by the breathtaking view, the incomparable atmosphere of the fascinating natural spectacle and the harmony of this historic house and modern craftsmanship, and if you enjoy our services as well as your privacy, and if your greatest wish is to stay with us again – then, and only then, have we reached our goal! Dr. Silke Seemann is an economist and has spent the last thirty years renovating and living in the Praunsperglerische House with her family. Thanks to the support of the empathetic craftsmen of the region, the house turned into Hallstatt Hideaway in 2014. She enjoys it as her temporary home and a place to rewind with guests from all around the world. Dr. Seemann teaches Strategic and Innovation Management and Human Resource Policy at the University of Salzburg and the University of Innsbruck. Being an organizational consultant she cooperates with the Zukunftsinstitut in Vienna in regards to the complexity of resource analysis and designing strategic leadership of future research and systemic strategy advice. Her widespread know-how and expertise have also shown useful in creating the concept for Hallstatt Hideaway and her chosen hometown, which is a jewel that should be cherished by ensuring smart tourism. 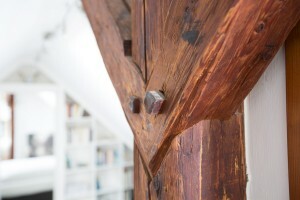 Most of the historic houses located on Hallberg can only be renovated using archaic construction methods. The construction site facilities alone generate ever increasing costs. Above all, there is also a problem of resource availability, since it is almost impossible to find workers in Middle Europe to do such heavy construction work. 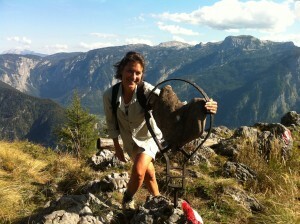 Ms. Zauner has been living in Hallstatt since she was 16 years old. She prefers to commute between Vienna and the Salzkammergut embracing both worlds – the lively city of Vienna for its cultural richness and Hallstatt with its village-like soul where time seems to be standing still. She is the first port of call for our house guests when it comes to exploring the most secret places, listening to fascinating stories and finding the best addresses to go shopping. Ms. Zauner is a professional chef, who knows how to please her guests and treats them with regional delicacies in Vienna and Hallstatt. During her time leading the famous Tauchergasthof Hallberg she has gained a lot of followers and fans, who have remained loyal to this day. After she had a brief intermezzo in Vienna and a short period of time in retirement, Hallstatt is happy to welcome her back as the Chief of Feel Good.